If you are reading this and still have last-minute Christmas shopping to complete, don't worry! We've got you covered. Take your mouse and head right on over to Optimist International's website and click on the Friend of Optimist membership. For only $100, you can share optimism every day and support the most positive service organization in your community. Optimist Clubs meet on a regular basis to share optimism and bring out the best in youth, community, and the members who join them. However, with a Friend membership, the attendance recommendation is totally waived. It's enough to know that you are affiliated with this group of do-gooders and that you support their cause. 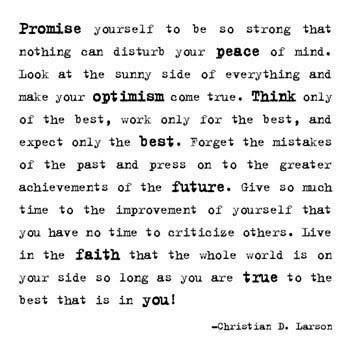 The best way to share that kind of optimism is to enjoy the gift of optimism. Click here to give that gift today. 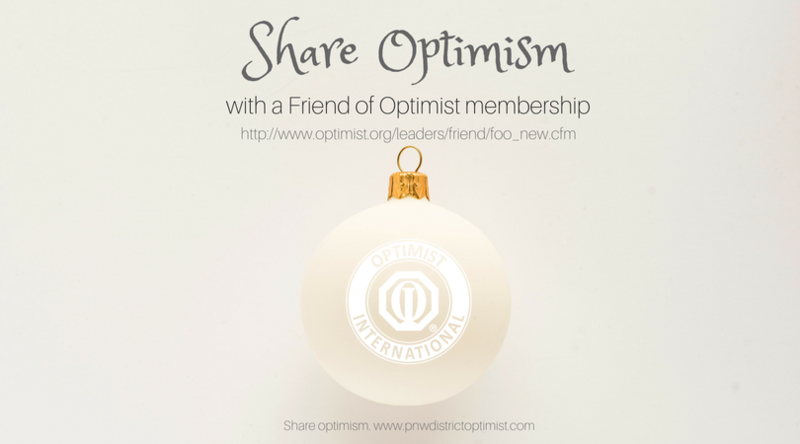 In case you are wondering what your membership supports, be it a Friend or traditional membership, click here to see some of the projects performed by Optimist Clubs in the Pacific Northwest. Before you get too busy this holiday season, Action for Happiness has a great idea to help you experience the best of the season. The first thing it recommends doing is to share this calendar, and I do this now, with you. 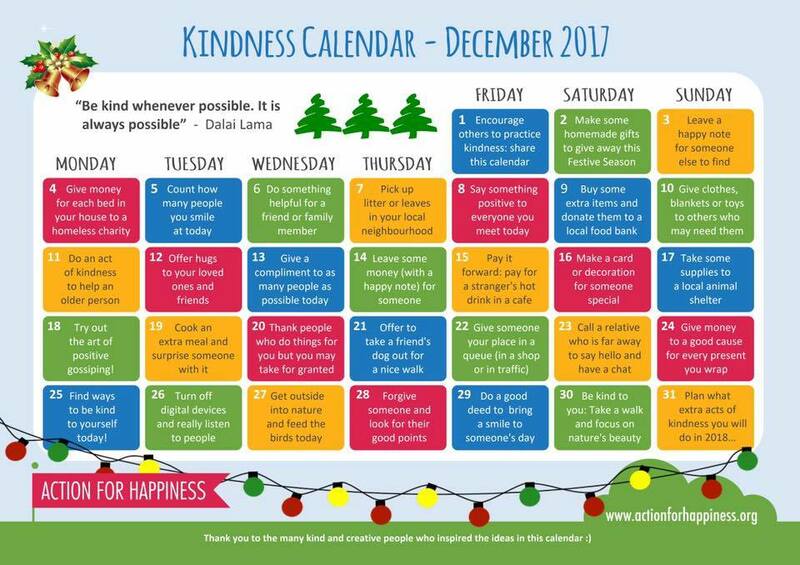 There are thirty more days to be kind this year. Use them wisely, friends and optimists. Many cheers to you!